No matter how careful you are, it’s basically impossible not to stain your oven with grease which will turn into burnt grease afterwards. Using the oven nowadays it’s a necessity, because the food is easier to be prepared this way, leaving you the time for other chores. But, when it comes to cleaning your over from that burnt food is a real headache. 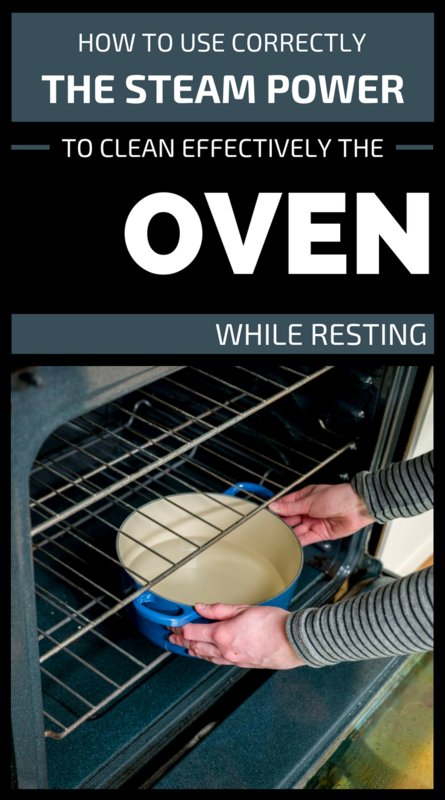 But here is the best solution for you to clean the oven while you are resting or sleeping! Use the steam power to clean your oven perfectly! Fill a half a pot of water, add a few tablespoons of ammonia and turn on the oven. Leave the water to boil to produce steam, but you must check it from time to time to be sure that the water won’t evaporate. Tip: add water gradually to produce steam for about an hour. Hot steam will soften the grease deposited on the oven grill, the oven’s glass door and any other corner hard to reach. After the water has evaporated almost completely, turn off the oven, and let the oven’s door sealed for about 2 hours to soften all the grease. Use abrasive sponges to clean the oven! When all the grease is soaked well, you will only need abrasive sponges, warm water and dish detergent to clean the walls and the grill thoroughly. Soaked grease is easier to clean…you will finish this dirty job in no more than 30 minutes.